Invisalign is an orthodontic treatment with removable, nearly invisible aligners that are custom-made to treat and straighten teeth for both teens and adults. It uses an efficient, gentle and accurate process to move the teeth little by little, resulting in straighter teeth and an improved smile. Invisalign has used over 20 years of research to produce a clinically proven treatment that has transformed not only the smiles but the lives of millions of people. By combining the art and science of modern dentistry, Invisalign helps patients treat a range of teeth issues, from the mild to the more complex. For those wanting generally straighter teeth, without the attention and hassle that come with traditional braces, Invisalign can be an optimal option. Not only can Invisalign correct crooked teeth, but it can also improve crowded teeth that may be making it difficult for you to brush or floss. In addition, Invisalign can rectify both an overbite, which is when your upper front teeth overlap your lower front teeth and an underbite when your lower front teeth are overlapping your upper front teeth. Through Invisalign, you can also correct an open bite, when your upper and lower teeth don’t touch when your mouth is closed, and a crossbite, which could end up causing your teeth and gums further damage, if not treated. Best of all, you can improve your teeth with little impact on your life. With Invisalign each aligner is removable, and without the brackets and wires of traditional braces, you can continue eating all of the foods you love, keep active in the sports and activities you enjoy, and you can even keep brushing your teeth as you normally would. 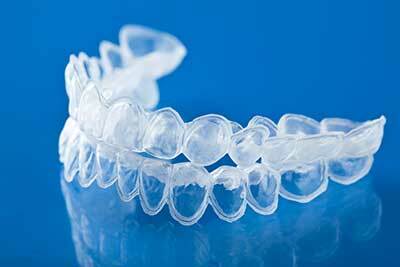 Invisalign is a powerful and modern process. It begins with a smile scan, which is a digital 3D image capture of your teeth using a special type of scanner. This scan provides the information we need to develop your custom aligners, as well as to give you a digital preview of your future smile. Once you’re satisfied, a series of aligners will be custom-made to ensure a comfortable fit to both your teeth and gumline. You will wear each set of aligners for a period of one to two weeks, as prescribed by your doctor. Your treatment plan will include check-ups every six to eight weeks to track your progress and to pick up your next set of aligners. Call us at (519) 821-1909 to book a free consultation to find out more about the treatment details. Uptown Guelph Dental has been serving the dental needs of families in Guelph, ON for so many years, with a commitment to helping our patients maintain optimal oral health. For your convenience, we offer flexible office hours, and process all insurance claims electronically when permitted by the plan. We also offer special discounts from time to time to help save you money. You can learn more about current offers by calling our office. To learn more about Invisalign or to book an appointment, call us at (519) 821-1909 or fill our online booking form.